If you are thinking of trying Whole30, Real Plans is here to help! Let us take the stress out of your Whole30 by planning compliant meals that you can fully customize to meet your specific needs! To get an idea of what you might see on your Whole30 Meal Planner and to help decide if the Whole30 upgrade is for you, please take a look at this blog post. You will find some delicious Whole30 recipes and helpful information about what a day on Whole30 might look like. 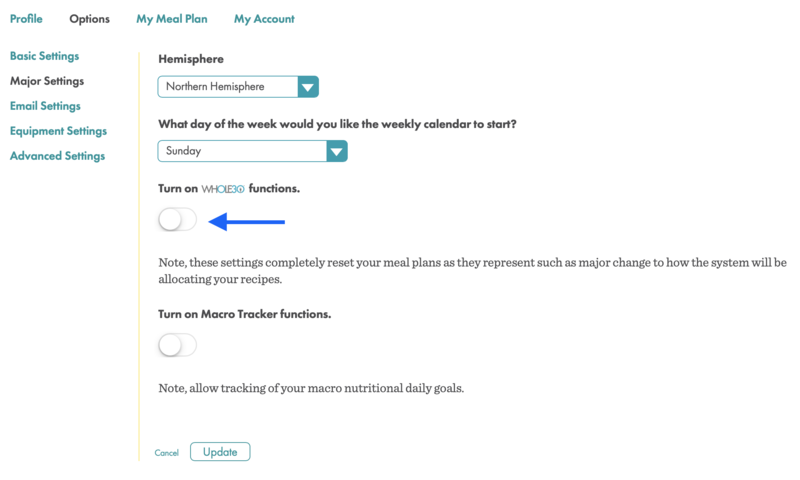 To add the Whole30 upgrade to your Meal Planner, head to Settings->My Account, and click on “Upgrade Recipes” on the left side of the screen. Select the Whole30 add-on by clicking the box to place a check mark in it, and click “Add subscription”. 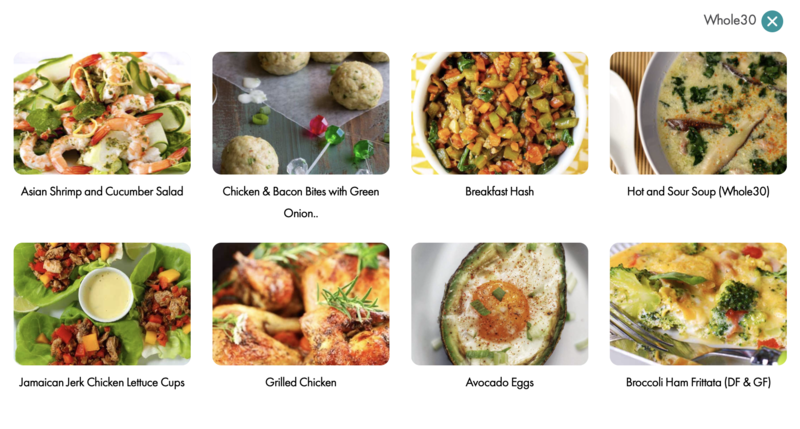 While adding the Whole30 upgrade, you may also want to consider some of our other contributors who offer some great Whole30-compliant recipes just waiting to be added to your Meal Planner! You can learn more about all of our contributors and see which ones offer Whole30-approved recipes here. This support article will give you detailed instructions on how to add any upgrade to your subscription. Of course, we are always available in chat to help you find and add the perfect upgrades to add even more variety and deliciousness to your Whole30 Meal Planner. You will need to head to Options->Major Settings to turn your Whole30 function on. This will give you access to the Whole30 setup screen, where you will enter your Whole30 start date and utilize all that our Whole30 upgrade has to offer. If you are not interested in starting your Whole30 just yet but want to be able to add the recipes to your plan, you can leave the Whole30 function turned off and still have access to all the delicious recipes the Whole30 upgrade added to your Recipe Box! **Mobile app users: This action must be performed on our website at this time. You can access our website using your preferred device’s web browser at realplans.com.